Prior to joining Quilling, Lauren represented colleges, school districts, and cities on a variety of issues, including employment, open meetings, contracts, open records, board representation and governance. She has experience representing clients in litigation, administrative hearings, and investigations. During law school, Lauren served as a judicial extern for the Honorable Barbara M.G. Lynn of the U.S. District Court for the Northern District of Texas. Lauren Wood is a member of Quilling’s Consumer Financial Litigation team. Lauren’s practice is primarily focused on financial litigation and defending consumer reporting agencies and financial institutions. 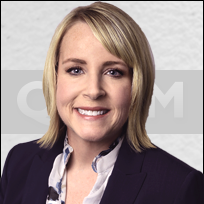 She has particular experience with compliance issues regarding state and federal laws and regulations, as well as navigating a variety of contractual agreements.